Most people probably don't even notice all of the semi-trucks and other large vehicles that they share the roads with every day, but they certainly do when these vehicles are involved in major accidents involving other vehicles. New Orleans best truck accident lawyers know the ins and outs of what eighteen wheelers are required to do when an accident occurs. Even though these large trucks are a valuable part of the stream of commerce in America, the potential for semi-trucks to cause unspeakable damage if they are in a car collision is one of the main reasons why truck drivers are held to higher standards than drivers in passenger vehicles. Truck drivers are required to obtain a Commercial Driver's License, or CDL, and the process of training to obtain this specialized license is intended to teach truck drivers how to handle large trucks responsibly. Many truck drivers are subject to federal regulations as well, which are intended to place limits on the amount of time that truck drivers spend behind the wheel or increase the amount of time off they have between shifts. The reason? Truck driver fatigue combined with a massive vehicle can be a recipe for disaster. A top ten Metairie truck accident attorney could level the playing field between you and the driver is an accident occurs. The average semi-truck can weigh tens of thousands of pounds. A typical passenger vehicle, like a car, pickup truck, or sports utility vehicle, may only weigh a few thousands. Obviously, the vast difference in the size of these vehicles typically means that a collision between the two results in devastating damage to the passenger vehicle, and many times only relatively minor damage to the semi-truck. Beyond the damage to the vehicles involved, the potential for severe injuries or even fatalities should be obvious. It is not uncommon to see passenger vehicles completely destroyed in these collisions, which is not a good situation for drivers and any passengers inside. The injuries can range from broken bones to spine or neck injuries, or even internal injuries and brain damage. But, in reality, fatalities are not an uncommon result either. 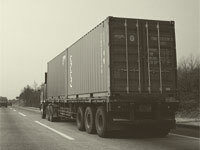 When an accident involving a semi-truck or other large truck occurs, one of the first orders of business in the aftermath is to determine the cause of the accident. Similar to most other types of vehicle accidents, law enforcement officials will typically report to the scene in order to conduct an investigation. But this investigation may be occurring in the midst of mayhem, as severely injured victims are transported for medical care, traffic is congested, and clean-up crews are on-site to remove any materials that may have been strewn all over the road from the truck's cargo. Nonetheless, the investigation that is conducted by law enforcement officials can be a crucial part of determining how the accident occurred. But, as soon as they can get on the scene, representatives from the truck company will also likely be on the scene to conduct an investigation that can be tilted in favor of the truck driver and truck company - looking for any reason for the cause of the accident that does not point to liability for them. This is what can make a claim based on a truck accident more difficult than a claim based on any other type of car accident. Many semi-trucks are owned by large transportation companies, and they will do their best to limit their exposure to damages in a personal injury lawsuit. It is important for victims and their family members to understand that while their physical recovery from injuries is paramount, there may be someone on the other side working hard to make sure those same individuals cannot recover financial compensation. If you or a loved one has been injured in a trucking accident, CONTACT US ONLINE OR CALL US AT 504-527-6225 TO SET UP A FREE CONSULTATION.